American Thanksgiving: What are we Actually Celebrating? 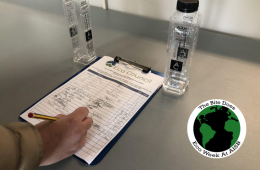 Knowing what we do now, is it our generation’s responsibility to step up and change not only our own, but also the world’s understanding of this tradition? Like most Americans living abroad, today is a day that I miss home. Speaking to my mom on the phone two weeks ago, she told me about all the foods she was going to cook, the family members that were flying in from out of town—the puddings and pies my aunts would bring. But since recently moving to Bucharest, and particularly after an interesting Geography debate about what Thanksgiving is really about, I’ve started questioning why I’m so nostalgic for this holiday. What did I learn in my American history class that was so different from my fellow international classmates? I decided to do some research and fact check everything I thought I knew about my beloved turkey day. It wasn’t pretty. 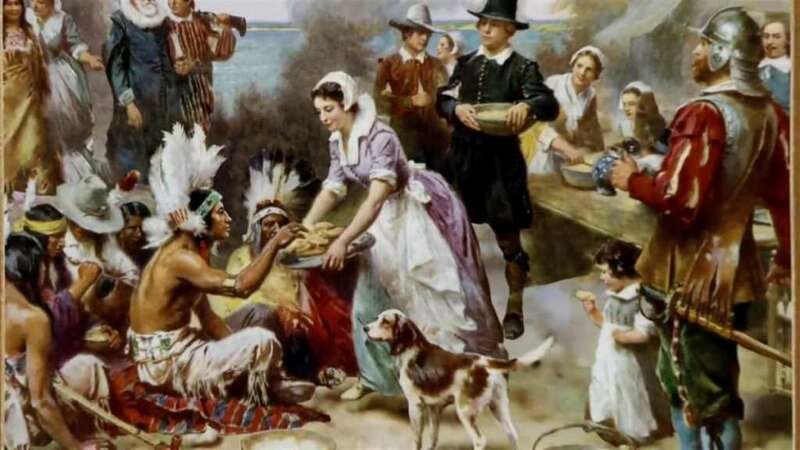 For Americans and foreigners alike, there seems to be somewhat of a gray space when it comes to the history behind Thanksgiving. From a survey I sent to AISB students, 34.5% said they were taught about it in school, and 34% claim they were taught so at AISB. 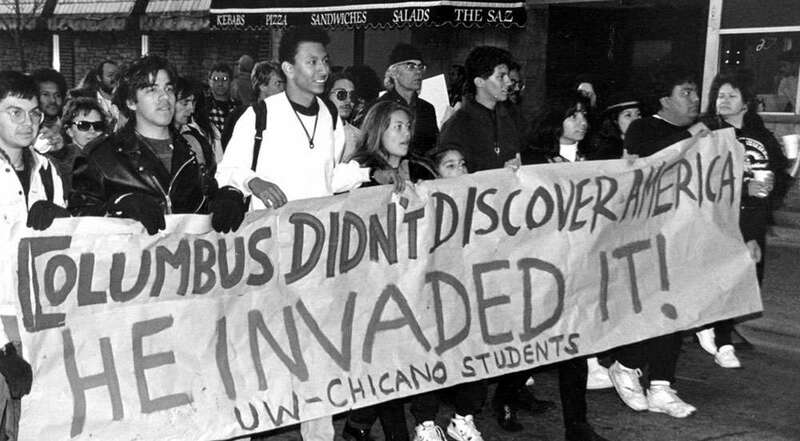 University of Wisconsin students march on the 500-year anniversary of “Columbus’s invasion.” Image source: Liberation School. Sorry, response #56, but this isn’t necessarily the case. Sure, Christopher Columbus may have sailed in 1492, but he didn’t even set foot on American soil, according to a PBS report. And in the 14th century, the world already knew the globe was round. Several pieces of evidence support the conspiracy that the real reason Columbus made the journey was because he was secretly Jewish, and was searching for land in which he wouldn’t be persecuted. But most believe the explorer had simply wanted to prove there was a way from Europe to Asia, which didn’t involve the rounding of the horn of Africa, and did so without the anticipation of another continent looming in the way. After landing in the present-day Bahamas, Columbus was directly responsible for bringing back the first slaves from the New World (the Taíno tribe), and returned to Spain and seek funding for a second trip. And after getting more support from the Spanish, Columbus set out on his second voyage to the Americas, and decides to take his tyranny up a notch after he’s named governor. Not only The Guardian, but Vox have stated that Columbus’ punishment of locals ranged from the parading of naked individuals through their villages to the removal of limbs for petty crimes, as was seen in the case where the man who was caught stealing corn, then sentenced to have his nose and ears removed. The Taínos’ slow but steady rejection of his reign erupted into a battle unlike any the natives had ever taken part in. Reports vary from ten of thousands to hundreds of thousands of Taínos coming together to fight the Spaniard force, only to be met with a crushing defeat through swords, lances, and guns. In the end, the Taínos submitted to Columbus, but soon resorted to prematurely ending their lives to escape his terror. Before Columbus arrived, it’s estimated that more than thirty-thousand native Taínos were present. Afterwards, in 1548? A mere five hundred (as reported by multiple sources). Vox, Biography, and Columbus himself, claims the following “fun” facts about our beloved Chris Columbus: He would reward his fellow Spaniards by allowing them to sexually abuse the Haitian natives (which was no different than how they treated Taíno women). He was a keen advocate for the selling of underage Caribbean girls to be used by Europeans for pleasure and sport. He used the dead bodies of natives and their children as food for his dogs, and used these canines to hunt for more. Columbus had a total of four journeys to the New World. In total, Columbus made landfall with the Bahamas, Cuba, Santo Domingo, parts of Central America, parts of South America, the Canary Islands, Cape Verde, Madeira, and one of Azores Islands. 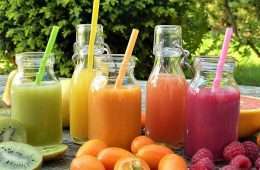 These voyages opened the gates to the Spanish, Portuguese, English, and more settling into the Americas through what is known as The Columbian Exchange, paving the way for Thanksgiving Day and setting the example of how Europeans should treat the indigenous peoples found on the other side of the world. AISB seems pretty familiar with these English Separatist Church members, according to survey results. These radical Puritans are said to have come to America due to their pursuit of religious freedom. But that’s not what really happened, either. James Loewen, author of Lies My Teacher Told Me wrote about how the Puritans escaped illegally from the Church of England in 1607, and fled from Plymouth to Leiden, Holland. Due to economic strife, they set sail from Holland in hopes of reaching northern Virginia. After 66 gruesome days at sea, the Pilgrims shipwrecked and had no other choice than to explore the land they had found themselves in. It didn’t take long for them to realize that where they crashed was, indeed, not Virginia but Cape Cod, Massachusetts. After nearly two months of searching for a reasonable place to settle, the Pilgrims finally found somewhere on December 25, and named it after the life they had left behind in England: Plymouth. In the first two months, those aboard the Mayflower already had a strained relationship with the indigenous peoples already in Massachusetts. According to MayflowerHistory, an online archive of the Pilgrims travels, a group of English settlers led by a man named Thomas Hunt lured both members of the Patuxet and Nauset tribes (part of a bigger tribe called the Wampanoag) onto his boat in 1614, claiming to be selling beaver. Instead, Hunt then took nearly thirty men captive and sailed them to Spain, selling off as many as he could before it was made known that they had arrived from America, and those that remained unsold were brought to England by a ship’s captain. One of these men was named Tisquantum. Hmmm, he was barely mentioned in any of the survey answers either. Guess this is where we begin to cover new ground? After he learns of Squanto’s heritage, Dermer sends word to the man he works for, and insists that Squanto could serve as an interpreter. Agreeing, Dermer’s boss has both of them return to America in 1619 to make peace with the Nauset and Patuxet tribes, who are supposedly still livid about the taking of their family. When returning to the village of his birth, Squanto finds that all of the family and friends were forced to battle the smallpox disease that the settlers had brought, inevitably wiping out this lineage of natives from the Wampanoag tribe forever. Squanto’s tribe was gone. After learning of the extinction of the tribe, Dermer and Squanto part ways, and Squanto finds residence among another tribe of the Wampanoag, the Massasoit, and Dermer tries to continue looking for the Nauset in order to calm rising tensions. The meme that “perfectly exposes the hypocrisy of how we talk about Thanksgiving,” according to Mic.com. Ah yes, back into familiar territory once more. Here comes the eating with natives bit that the responses were so hung up on! 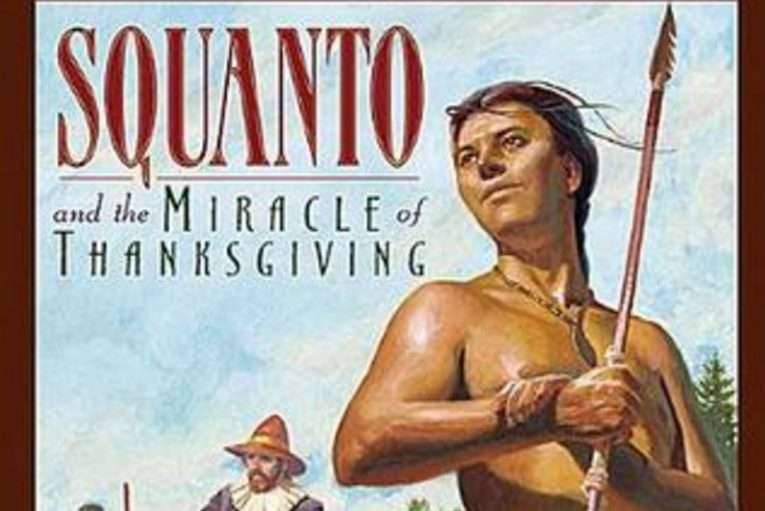 The Pilgrims finding Squanto was their saving grace. Samoset, a Massasoit, introduced the Pilgrims to the tribe, and with Squanto’s help, the Wampanoag and the Pilgrims were able to form a treaty between the two nations. They agreed to protect one another. With Squanto’s help, the Pilgrims smoothed the relationship between both the Massasoit and the Nauset, who were still unfriendly due to Hunt’s impact on their lives. It doesn’t take long for the Pilgrims to begin to prosper after receiving aid from the natives. Soon, the day for harvesting came, and the Pilgrims were so overjoyed that they held a feast to celebrate. But despite what your history teacher may have told you, the Wampanoag weren’t originally invited to this feast, as stated by Ramona Peters, the Mashpee Wampanoag Tribe’s Historic Preservation Officer. And believe it or not, no actual record of turkey was made in 1621; instead, the English hunted all kinds of meat, including lobster, seal, and swan. Plus, due to the lack of ovens and shortage of sugar, there were no pies that you would usually see in a modern Thanksgiving celebration. Having been keen on a lively celebration, the Pilgrims began to shoot off their guns and canons. 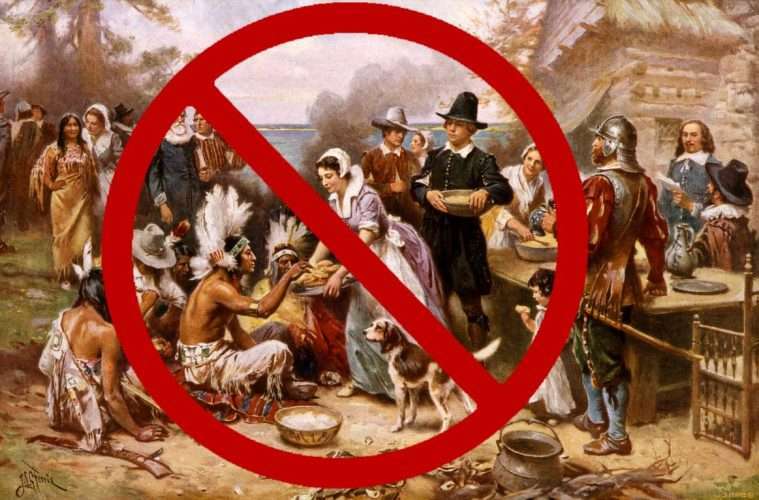 Due to the Wampanoag coming back and forth to investigate the noise, the Pilgrims extended their three-day feast to the tribe as well. And unlike the English, the Wampanoag thanked the Earth for everything they took from it. 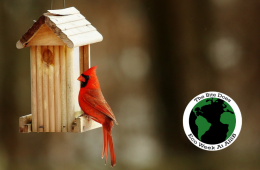 They thanked the seasons, the green corn, the whales, the first snow, the new year that begins in May for them, and more, each with a ceremony of their own. They didn’t need Pilgrim “saviors” to celebrate; they had plenty to celebrate already, on their own. 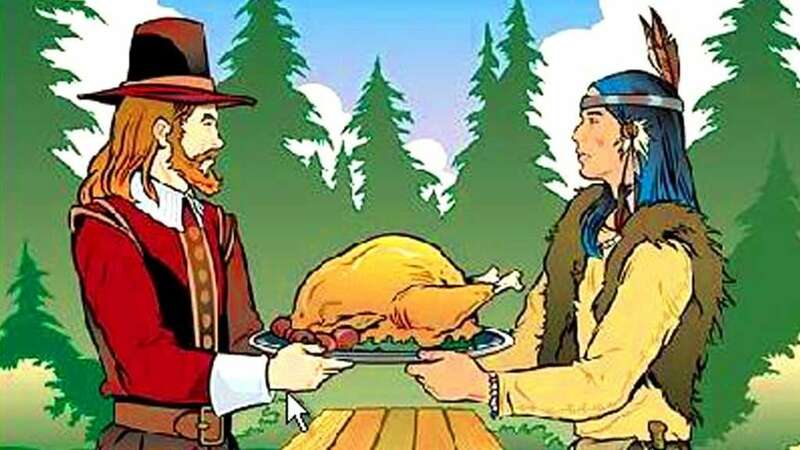 A depiction of what “Thanksgiving” might have looked like, courtesy of History.com. Now, don’t get confused. The Pilgrims and the Wampanoag sitting down and eating good grub is a heartwarming story to an extent. But the truth is, this wasn’t even the Thanksgiving. Several other Agrarian societies celebrated such a feast, and numerous celebratory meals were held in America long before the Pilgrims had arrived. “For the most part, Thanksgiving itself is a day of mourning for Native people, not just Wampanoag people.” -Tim Turner, manager of Plimoth Plantation’s Wampanoag Homesite, told Indian Country Today. Turner said in the article that, what most people don’t know about the first Thanksgiving is that the Wampanoag and Pilgrims didn’t sit down for a big turkey dinner. In fact, it wasn’t even an event that the Wampanoag knew about or were invited to in advance. 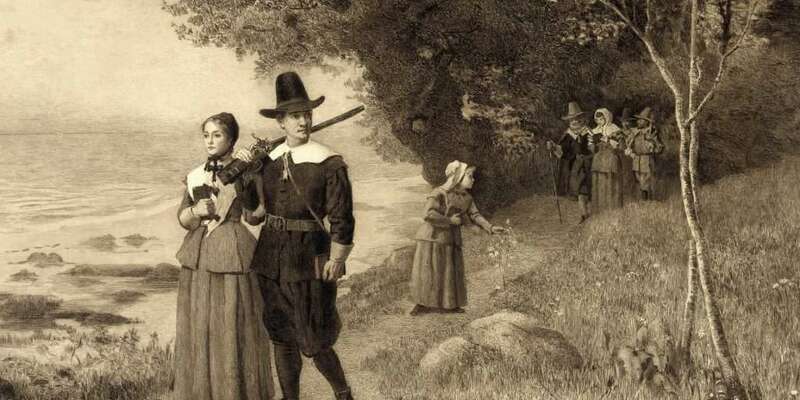 In October 1621, the Pilgrims had just harvested their crops and sent a few men to hunt game in order to have a proper feast. Most historians believe that while the men went off “fowling,” that they “exercised their arms” as stated in an account by Pilgrim Edward Winslow. Basically, they were having a little too much fun with their guns. The Massasoit heard the gun fire coming from the Pilgrim village, and rushed over to save them from what they thought was an attack. When the Wampanoag showed up, they were consequently invited to join the Pilgrims for a feast of venison, corn bread and squash. With people who had brought diseases and killed most of their community. 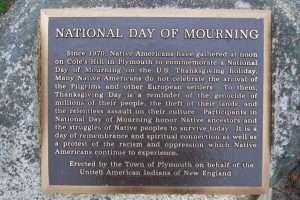 Thanksgiving: A time to remember all we have, and the genocide it took to get it. We romanticize a terrorist due to the fact that he linked the Eastern Hemisphere to the West, teaching our children that that’s enough to undermine the millions of lives he led to be torn apart and destroyed, numerous cultures simply going extinct over a whim. We tell our kids to come to school with paper bags to color, create headbands of paper lined with colorful feathers so they can impersonate the thousands that died in agony as their families were decimated and displacde, resembling nothing of the proud and brave Wampanoag. In their tribe, the feathers hold weight, meaning more than just a piece of construction paper being doodled so that children can celebrate the death of a nation. We teach them it’s okay to stereotype, that cultural appropriation means nothing, that compromising the integrity of this tribe is solicited as long as you get to stuff your face with food. We give Pilgrims the upper hand: they escaped religious persecution, they survived the winter, they invited the Wampanoag, they introduced the concept of thanking. We leave them to gather in Massachusetts, surrounding the rock that intones their struggle, latching onto one another as they pray their country doesn’t forget the sacrifice their ancestors made that allowed this day to exist.